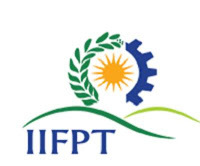 IIFPT Jobs Recruitment Notification 2018.Indian Institute of Food Processing Technology, Thanjavur inviting applications for the positions of research associate, senior research fellow, junior research fellow and project assistant jobs on temporary basis.Interested and Eligible candidates can apply for the positions. Total number of temporary vacancies to be filled in IIFPT is 15. Educational qualification, age limit, salary and other details will be soon updates in the site. On 10th September 2018 along with all essential documents may attend the interview of IIFPT recruitment. Indian Institute of Food Processing Technology, Thanjavur-613005 (Tamil Nadu).